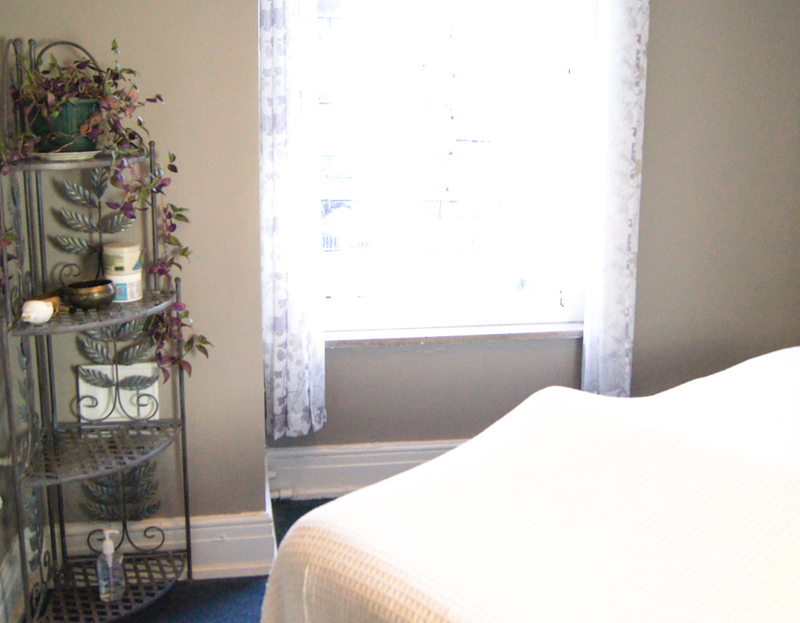 Asheville Massage & Natural Therapeutics offers multiple massage modalities. Each modality has different health benefits. Integrative Bodywork is a combination of multiple massage modalities. Therapeutic Massage may Include: Deep Tissue, Myofascial, Sports Massage, Swedish or Pregnancy & Infant Massage. When employed correctly results will: Relax the musculature, increase the blood and lymphatic flow throughout the body, increase nutrition to the cells, remove waste and toxins which have accumulated from stressed or injuries. This ultimately promotes deep relaxation on all physical, mental, and emotional levels. The Turnau Method of Integrated Bodywork assists with releasing habitual body/skeletal patterns acquired from stress, trauma and / or inherent misalignment from birth. 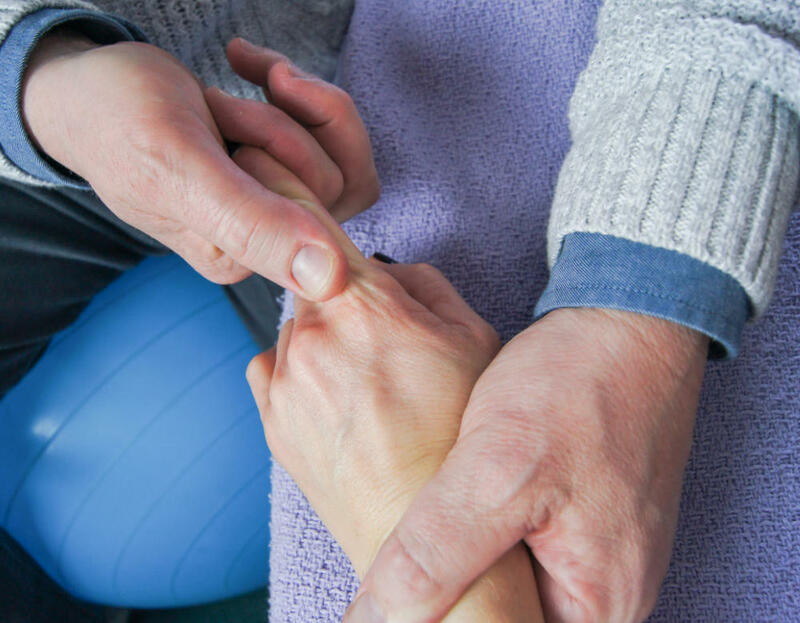 The Turnau Method reduces postural gripping and pulling of the skeletal system by unlocking muscle groups and their relationships, improving body alignment, reducing pain, and increasing range of motion. Reflexology is an ancient bodywork technique. Using deep (Tamasic) stimulation on specific reflexes of the feet and hands, Reflexology helps to improve the function of corresponding organs, connective tissue, bony structure, body systems, and energetic pathways. Combined with Polarity Therapy, Reflex-Polarity makes Reflexology an even more dynamic and effective modality. Japanese Shiatsu is a therapy that was adapted from Chinese Medicine and acupressure. Shiatsu uses a slow, deep pressure to affect the physical body (muscles, tendons, ligaments, nerves and organs) as well as the life-force of the body (Qi). Pressure is exerted with finger and thumb pads, heels of the hands, knuckles, forearms or elbows. This slow and deep touch affects the subtle energies of the body, from where blockages originate. This kind of pressure can allow these blockages to be removed while falling deeper in to relaxation. Prenatal Massage is a parent tradition within many ancient cultures that has been re-discovered and adapted to the western world. Research conducted at the University of Miami School of Medicine confirms the importance of a secure environment and nurturing touch in the healthy growth, development and maturation of children. Asheville Massage & Natural Therapeutics is a group of highly dedicated therapists each specializing in a wide spectrum of Energy Work techniques. Chakra (derived from the Sanskrit ” चक्रं , pronounced in Hind i; Pali: ॰हक्क chakra, Chinese: 轮, འཁོར་ལོ་; khorlo”) is a Sanskrit word that translates as “wheel” or “turning”. Chakra is a concept referring to wheel-like vortices. The Chakras are said to be “force centers” or whorls of energy permeating, from a point on the physical body, the layers of the subtle bodies in an ever-increasing fan-shaped formation. Rotating vortices of subtle matter, they are considered the focal points for the reception and transmission of energies. Seven major chakras or energy centers (also understood as wheels of light) are generally believed to exist, located within the subtle body. The human organism is comprised of the mental/emotional, etheric and physical bodies. The Soul or Vital Force is the animating, non-material dynamic. Health is the experience of harmony between the Soul and the parts comprising the whole. All parts must operate as a synchronistic whole. Core Synchronism is a system of bodywork designed to assist Nature in establishing harmony with all parts of the organism, via the Vital Force and the Cerebrospinal fluid. All aspects of self are synchronized to the Soul Breath to access and release states of imbalance, trauma, pain, etc. completely from the system. Core Synchronism is a gentle palpatory approach to healing and harmony. Healing is stimulated by deep states of relaxation. Core Synchronism is deeply relaxing, safe and gentle. This work is based on the philosophy of natural therapeutics, cranial osteopathy, polarity therapy as well as the palpatory and philosophical discoveries of Robert Stevens. Core enables a practitioner to access all layers of the physical and energetic/causal bodies to release disharmonic patterns from their source. Craniosacral Therapy is gentle, relaxing, and uses a light touch. It involves palpating and assisting the movement of bones as cerebro-spinal fluid (CSF) is pumped through the brain and the spinal cord. The flow of CSF produces movement of the bones of the head, which causes movement of the vertebrae of the spine, which moves the sacrum and pelvis, which causes movement in the legs. Thus, this motion, called the Craniosacral Rhythm (CSR) can be felt throughout the body. By feeling this motion and gently assisting it, the skeletal system (including the bones of the head) comfortably realign, muscle tension releases and emotional disturbances find relief. An additional focus and technique is Craniosacral Unwinding. For Unwinding, the therapist gently follows the client’s movement as different body parts reposition and change their postural alignment. During Unwinding, the client’s body moves into postures it was in during certain injuries, such as sports injuries or car accidents. This allows the body memory of the trauma to surface, be processed and released, resulting in decreased pain and greater mobility. Polarity is an energy-based system that can be as simple as balancing the left side (negative) of someone’s body with the right side(positive) of someone’s body to assist with relaxation (neutral). A Five Element (Ether, Air, Fire, Water, Earth) system that associates body parts with each element. The goal of a treatment focuses on balancing the elements (essential to all living beings) to treat the package of physical, emotional, and mental imbalances. 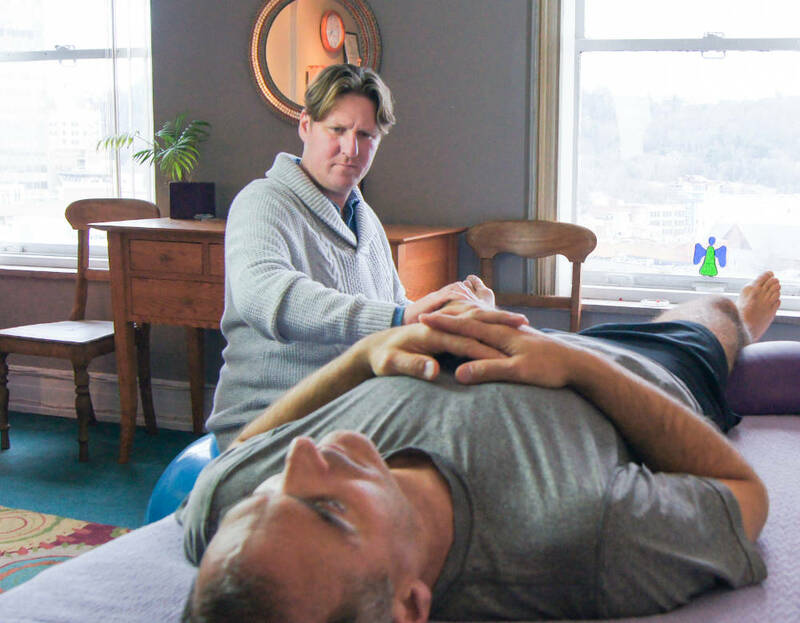 Developed by Dr. Randolph Stone, Polarity Therapy is a healing art that restores the vital energy assisting someone to a relaxed and energized balance. Touch can vary from a soft (Satvic), stimulating (Rajasic), or deep (Tamasic) touch that affects the finer electromagnetic energy currents within the person’s being to create a state of self-acceptance, balance, and restored health.